In this post, you're getting a list of the best vape pens for e-liquids/vape juices. Getting a slim and sleek vape pen that almost looks like a cigarette, looks like a great alternative to cigarettes, right? Most true pen-style vapes, also called ‘EGO battery devices', are really out of date in terms of technology. Have charge-through technology (use your vaporizer while charging). 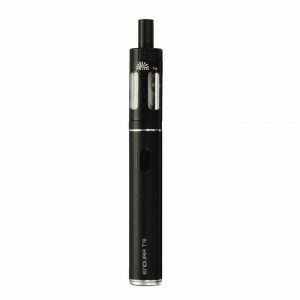 There are however a few vape pens (EGO battery devices) which are of a good enough quality that I have an easy time recommending them to anyone looking to quit smoking. Keep reading to see which ones. A beginner's vape pen should be easy to use. Well, with the Innokin Endura There's no learning curve. You won't be messing around with different coils, different temperatures or variable wattage settings. Just turn it on and start vaping: plug and play at its best. But the Innokin endura T18 will last you a full day before it needs recharging. It's the perfect companion while you're out and about. What you'll love most about this vape? It produces nice warm, dense and flavorful vapor, with a consistency that very few pen-style vapes match. You'll be glad to know that this vape is a true mouth-to-lung device (MTL) and will bring you the closest to a smoking experience of all the vapes in this list. Its simplicity in design naturally brings some limitations with it. For example, its fixed wattage setting (14W) makes it so that the certain flavors are more emphasized than others. And the warmth of the vapor is always the same. When you're just starting out with vaping…just to see if it's something that can replace your habit of smoking, you don't want to be messing around with variable wattage, different coils, etc. anyway. And the Innokin Endura 18 perfectly fits that bill. This vape pen is another excellent pick when just starting. It's slightly cheaper and slightly smaller than the Innokin Endura. The consistency of vapor-quality (sometimes dense, sometimes a bit less dense, sometimes really flavorful, sometimes less flavorful, etc.). You can't argue with its price though, it's absolutely the cheapest vape pen in the list. 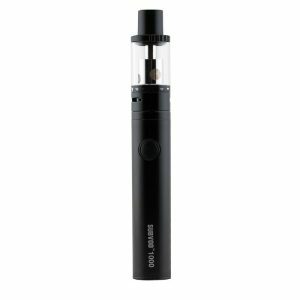 When you compare the airflow of the Ego AIO to the Innokin Endura, you'll see that the Innokin Endura feels much closer to a cigarette. The Ego AIO has freer airflow, which is great for light, less intense hits. But less good if you're looking for those restrictive cigarette-like hits. Plus this vape pen doesn't come with an atomizer that's really well at creating restrictive hits. It comes with a sub-ohm atomizer so your hits will be airy and your clouds will be larger. But it's not a good idea if you need to be discreet. With its sub-ohm atomizer, this vape pen will feel more like a very light cigarette in your throat. I really wouldn't recommend this vape if you are a heavy smoker or like heavy cigarettes. It will be too weak for you. But if you're a ‘light' cigarette smoker or want to create big clouds, the Ego AIO will be perfect for you. And that's the only reason to take this vape pen over the Innokin Endura (you're a very light smoker or want to create bigger clouds). Yes, it's also a bit cheaper…if you're really looking to save every penny that you can. Plus, aren't ‘in love' with the idea of getting a true pen-style vaporizer. You would be better off getting a small box mod. You might be wondering…what does ‘more control over your vapor production' and ‘future-proof' mean anyway? Battery-life no vape pen can provide, because of the swappable battery-system. Although this isn't really a vape pen, it is one of the smallest and pocket-friendly box mods currently on the market: it will easily fit inside the palm of your hand. Compared to a vape pen: this device has the capacity to power relatively demanding sub-ohm tanks, which means it can produce huge clouds if you would want it. But if you're looking to re-create the smoking-experience it's best if you vape mouth-to-lung (MTL) style. MTL vaping works the same as a cigarette: inhale from the vape into your mouth and then into your lungs. This type of vaping also will give a stronger ‘throat-hit', which most smokers swear by. It might seem trivial, but when quitting smoking for the first time, such a small thing can make or break your attempt to stop. That's why if you get this box mod, you should get a quality MTL vape tank with it, which you can find here. In contrast, direct-to-lung (DTL) vaping is the type of vaping where you directly take big hits straight from your vaporizer into your lungs. You can create huge clouds with DTL vaping, and it will create a stronger sensation in your lungs than MTL vaping. You should just immediately go for the Eleaf iStick Pico with a quality MTL vape tank. 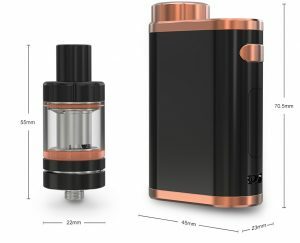 Note: Some suppliers will give you a Melo 3 Tank with your Eleaf iStick Pico purchase. This is a sub-ohm tank and could be enough for you. But if you want proper MTL-vaping (best to recreate the smoking experience), I highly recommend you purchase a MTL vape tank. But a better option for this specific purpose is the Kanger SUBVOD. A bigger tank, which means less refilling of vape juice. The build quality of this vape pens also is more solid and it's a bit more of a reliable device in general. It's also almost twice as expensive as the Innokin Endura T18 or the Joyetech Ego AIO, therefore you'll still get more value for your money with these vape pens. It's still on the cheap side though (under $40), and if you really hate refilling but still want something portable, you will want a vape pen with a well-sized vape tank: the Kanger SUBVOD. The Kanger SUBVOD is the vape pen you should check out. 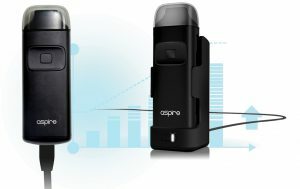 The Aspire K3 uses the same coils as the Aspire Nautilus 2 tank. These coils are very powerful and reliable coils. The Aspire K3 as a full vaping device is around the same price, making this vape pen another ‘great bang for your buck' vape pen. You're getting the same coils that are present in one of the highest rated vape tanks, especially for MTL-vaping. The Aspire K3 is slightly more powerful: it will create marginally bigger clouds. But the airflow is freer! Therefore it will feel less like a cigarette. The Aspire K3 is the vape pen you should check out. The Aspire Breeze is the smallest vape pen on the list, which still allows you to vape your own vape juice. There are even smaller vape pens, but these come with a ‘closed-pod-system' so you can't use your vape juice and are forced to use relatively expensive pods (the JUUL is an example of this type of vape pen). Although I would categorize it as an MTL-vape, it's airflow is too free to really make it feel like a cigarette. But these downsides don't stop the Aspire Breeze from taking the number 1 spot of all super-small ‘pocket pens' that still allow your own juice. And one of the main reasons is: this cute little vape does pack a punch and can create some impressive clouds. Plus, although its battery won't last you a full day, its uptime is still very decent considering its size (I would give it half a day if you're a moderate to heavy vaper). Luckily, you can easily charge it, as long as you have access to any micro-USB-slot. These were the 6 best vape pens that you can use with any type of vape juice (e-liquids, CBD vape juices, THC vape juices).